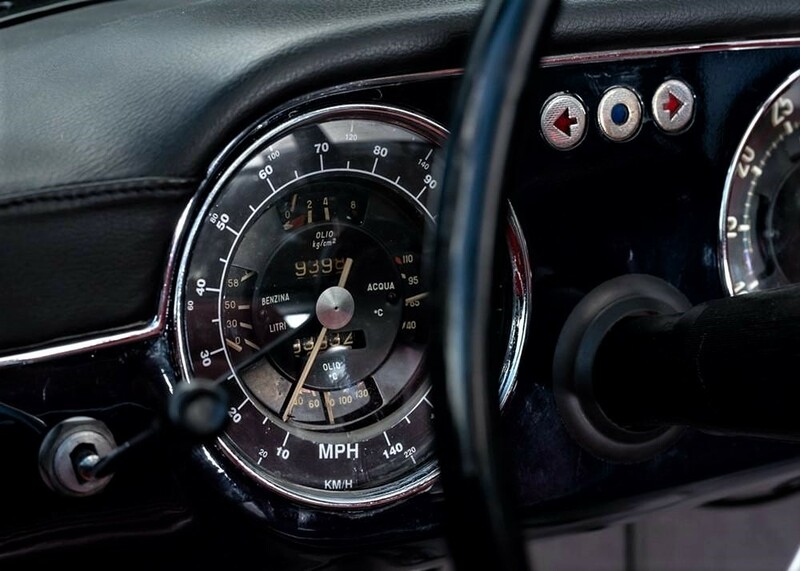 Identify this Touring Flaminia speedo. Lancia Motor Club > Model Technical and Interest > Flaminia > Identify this Touring Flaminia speedo. Came across this Touring Flaminia speedometer. The speed is shown in MPH & KPH. Not seen one like that before. Is it 'factory' or a home made insert ? Re: Identify this Touring Flaminia speedo. Looks like a home made inserted ring possibly? Standard speedo and RPM markings are heavily applied and three dimensional. That looks printed and flat. when slowing to a halt. car seemed to take an eternity to stop.